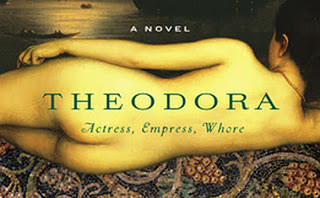 Theodora by Stella Duffy: Actress, Empress, Whore? Stella Duffy’s beautiful work of historical fiction, Theodora: Actress, Empress, Whore, tells the story of the woman who rose from actress and prostitute at the hippodrome to the esteemed Empress of Constantinople. The character of Theodora is artfully written. You get to know the child who was sent by her family to become a stage actor alongside her two sisters. She had average dancing ability, but desired than just an average stage career. She craved attention and found a way, through her humor and wit, to become the star of the Hippodrome. In Theodora’s time being an actress meant when not performing and practicing she would be sold into the company of men. This was probably the most heart-breaking part of the book to read. She was only twelve years old when she was forced to work as a prostitute. Through everything Theodora takes her life and finds a way to make the best of it, until she falls in love. She abandons the theater at the age of 18 to follow her lover Hecebolus as he becomes Governor of Pentapolis. A life as the Governors’ wife would give her the path to greatness she desires. It would further her station in life, but actresses cannot marry. She is cast aside by Hecebolous and forced to find her way back to the City with nothing but the clothes on her back and a few stolen possessions to barter with. Through this journey Theodora finds herself a penitent in a religious community, a spy, and she eventually marries Justinian changing the law that former actresses cannot marry. In time she becomes Empress of Constantinople. The book is a fascinating read, with full characters, bawdy language, and a feisty heroine who just will not give up. Heck, HBO is even making a series based on this book. If that isn’t reason enough to read it I don’t know what is?